Dini and Maggie, especially Dini expect (a.k.a. demand!) a daily walk. And that’s a good thing, because it gets me out, walking, even when it is 20 degrees out and quite frankly, my tropically inclined body- and mind would rather not venture out. 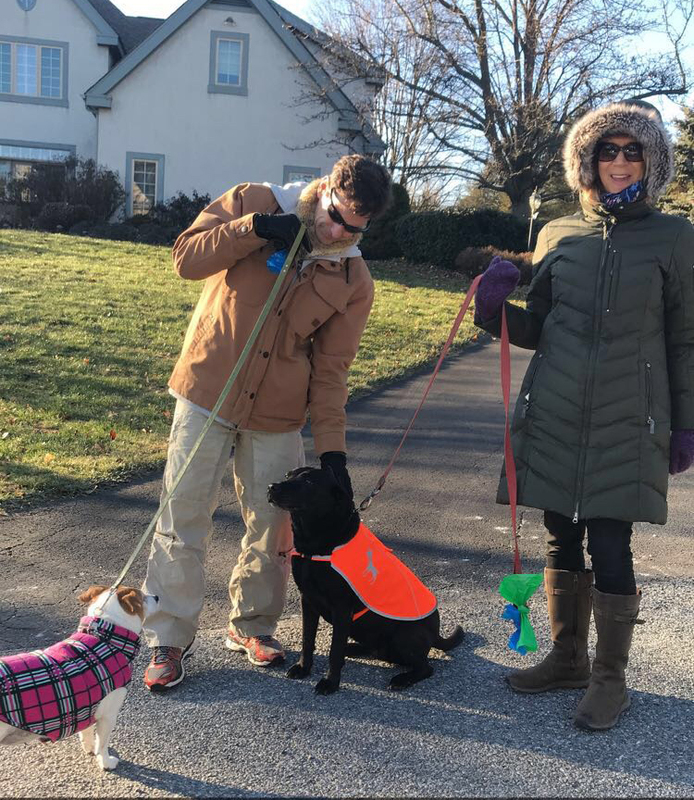 Family Affair- Maggie with her fleece plaid coat, and Dini with her reflective orange vest, Scott and I. 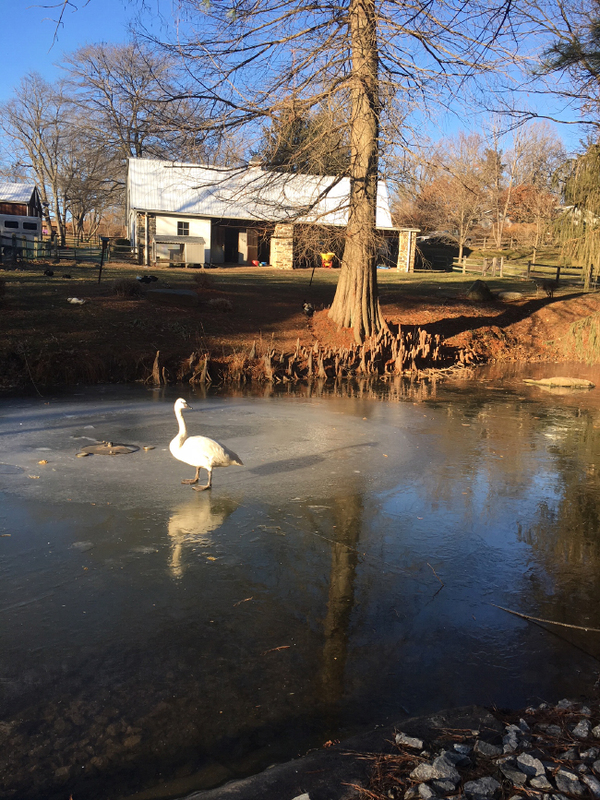 And, besides the exercise, fresh air and natural beauty of Chester County, PA, you just never knew who or what you will come across. Juliette, was recently adopted by our neighbors down the road, and I couldn’t help but stop, take off my nice warm woolen mittens, pull out my phone and capture the afternoon light and lovely shadows and reflection. 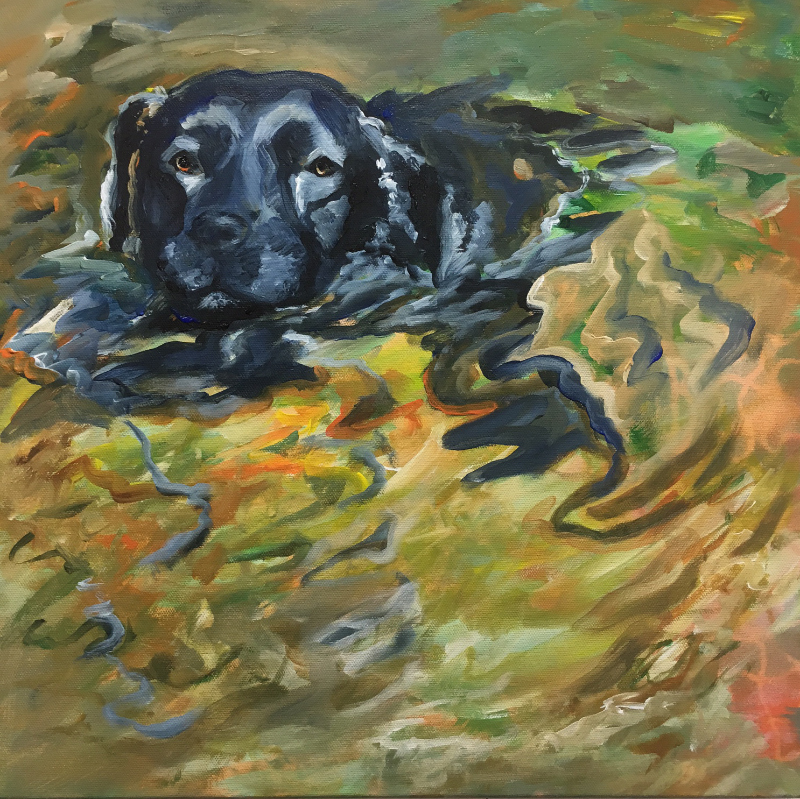 These very same walks have spurred by current series, inspired by autumn walks with Dini and Maggie at White Clay Creek Park. These stolen moments with my beloved pooches help me navigate turbulent times that seem to inundate our collective psyche in 2017. Looking Forward to a New Year. New possibilities. I am an optimist by nature. And, it is in nature that I find inspiration, clarity and peace. Each day, each moment is an opportunity. Seize the day. Carpé diem and a very Happy and Healthy New Year! Always good to hear from you Linda- all the best to Tom and you in 2018. Hope to see you in your travels.